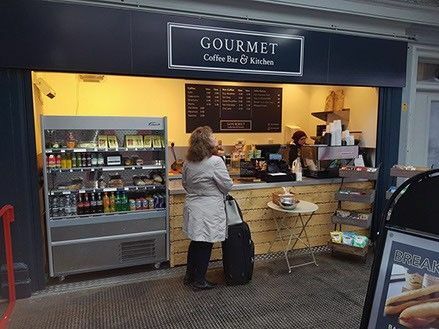 Retail Catering Solution is a new business specialising in building, renovating, and installing tailor-made kiosks for retail and catering businesses. 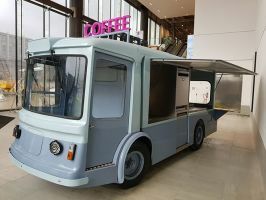 Their expert engineers work to bring vintage vans, shipping containers, and even bespoke designs to life for popular clients, which are then fitted into retail spaces like shopping centres, airports, and so on. 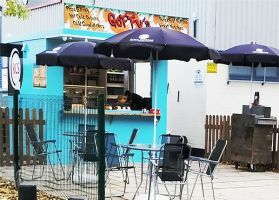 With the money raised, Retail Catering Solution will expand their own kiosk brand, Goffy's, and continue their impressive growth. Having traded for 18 months, they will file accounts before the funds are released. At Retail Catering Solution, we design and develop catering units and kiosks. More flexible than renting a building, these solutions— from converted vintage vans to renovated shipping containers— provide a cost-effective and quirky venue for retail and catering vendors. These are perfect for installation in shopping centres, airports, theme parks, railway stations— even on the beach! Our team consists of welders, fitters, plumbers, gas engineers, and electricians, using state-of-the-art equipment. We operate from our purpose-built manufacturing facility and headquarters in the north east of England, set up in 2018 to give us total control over all the production. We work with some of the biggest names in the catering industry, all of whom have given repeat business and indication of wanting to place more orders moving forward. Currently, we have around 20 quotes under consideration by clients and are confident that 40% of these will prove positive by the end of March, with an estimated value of £165,000+. Our list of clients include Benugo, Stangard Design Solutions, Western Blueprint, D3 Designs, Gourmet Coffee, and Hot Pickle. We also offer services to individuals looking to start a new business, as well as expand their existing business. We are raising funds to expand our own brand of kiosks and street food outlet, called Goffy's. At present, we have one unit, located near our location in Runcorn, but have big plans to scale this to 3 units by the end of year 1, and 5 by the end of year 2 on this project. We aim to target the 'Northern Powerhouse' area for best footfall. We will therefore use the funds raised in this campaign to purchase the equipment needed to make this possible, and take into consideration marketing and running costs. Please note: final accounts will be provided and reconciled before releasing the funds to the business. Q. What are the splits between buliding units, distribution, other? Q. May I ask how the Black Cab Conversion company relates to RCS? A. This is an idea we wish to develop more in the future as another brand for RCS to promote. Q. Hi there, the H-Type seems to have a separate website - is it a separate company as well, or done through RCS? A. Type H are the company who provide a body kit to RCS to fit in the UK, we then fit the kit at our production site for our clients. "Practical and creative catering solutions"